Zong has announced that it will be providing Pakistan Red Crescent Society (PRCS) with a short code service through which ZONG customers can register themselves as blood donors by sending “reg” on 2258 after which they will be contacted by the Red Crescent in time of need. Along with this Zong will be launching a campaign “I am a Blood Donor” for creating awareness about blood donation. Apart from this, a blood donation camp at Zong office premises in Islamabad, Lahore and Karachi to commemorate ‘World Blood Donation Day’. Amongst many other initiatives taken by ZONG under their corporate social responsibility philosophy, the telecom giant will also broadcast PRCS blood donation awareness text messages to its users’ base in the main cities of the country. Dr. Kamran Mushtaq, Director Training and Health PRCS said, “This year’s campaign of World Blood Donor’s Day, will focus on the value of donated blood to the patient, not only in saving life, but also in helping people live longer and more productive lives. PRCS and Zong are working in close collaboration in the development and implementation of safe blood transfusion reforms”. Through the collaboration ZONG will generate a list of blood donor indicating details such as name, age, gender and city name. This data base will be forwarded to PRCS to manage blood supply in case of any emergency shortfall or for routine blood requirements. ZONG is today’s fastest growing telecommunication company with immense support from its parent organization, China Mobile which is the No. 1 telecom operator in the world. 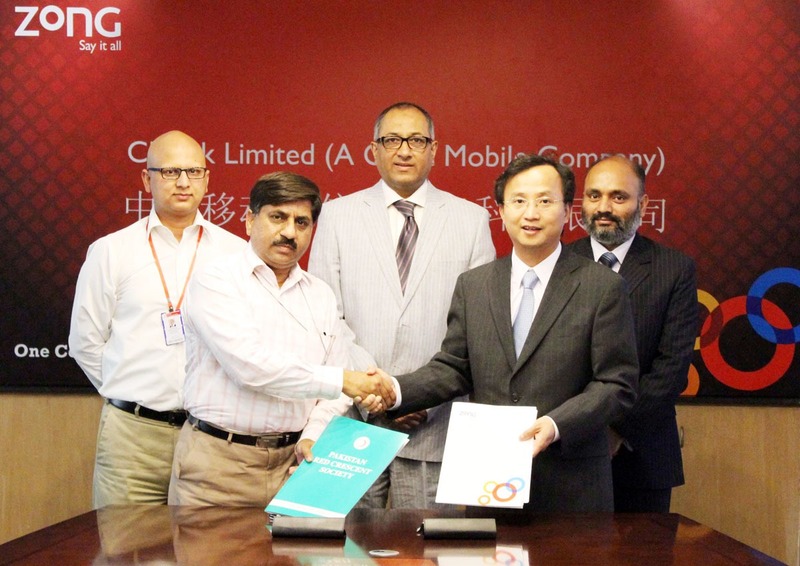 The company is following the ethos of China Mobile by offering consistent growth to its employees and by making significant contribution to the development of communities. PRCS is a humanitarian organization and its main activities are relief work during and after natural or manmade disasters. And primary health and welfare services for the less privileged and marginalized people of the society. PRCS also works alongside the Government of Pakistan and supplements its efforts for relief and rehabilitation of victims of such disasters.